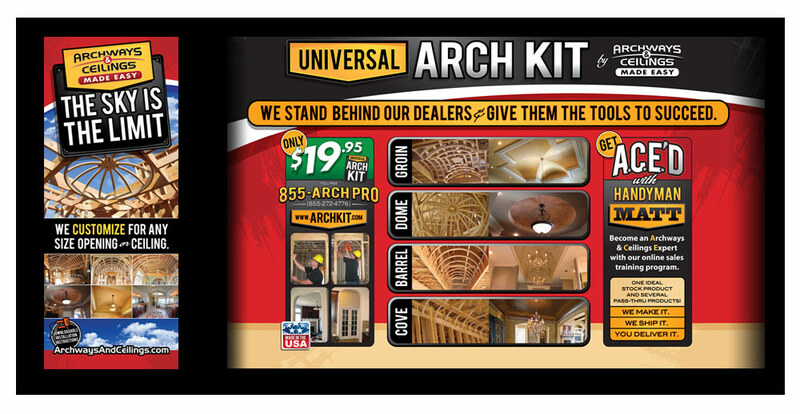 Universal Arch and Ceiling Kits offer home builders, renovators and Do-it-yourselfers pre-formed and precisely-cut wooden arches. 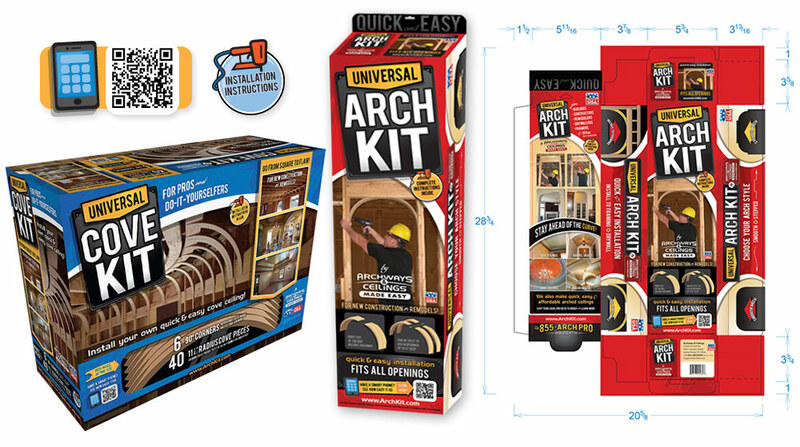 We helped establish bold, colorful branding to stand out in the construction industry and created a family of impactful marketing collateral for Archways & Ceilings Made Easy (ACME). 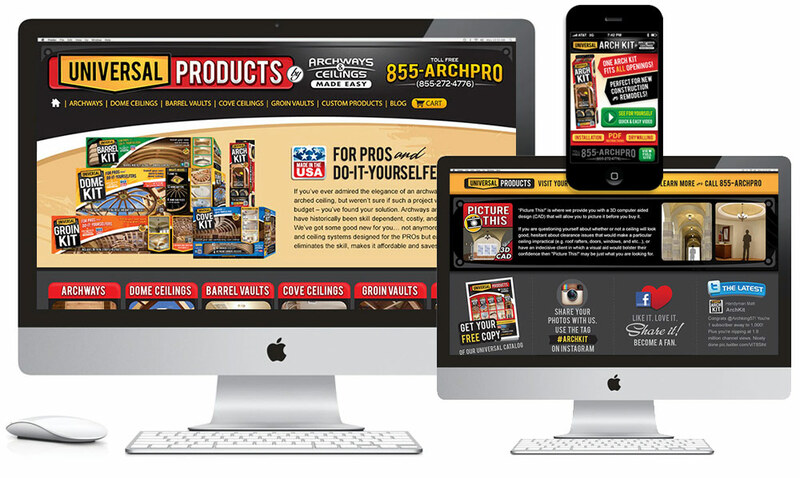 Website: We worked with the guys at ACME to design the graphic interface, built the layered PhotoShop files and made a clean hand-off to their web developer to optimize and prep for the web. Kudos to ACME for wanting to create full color, good-looking booklets instead of plain ol’ black and white photocopied catalogs and sets of instructions. This is the kind of vision that makes a great impression on their construction and remodeling industry customers. Along with the print and web pieces, we’ve created trade show displays and banners that follow the same engaging approach.